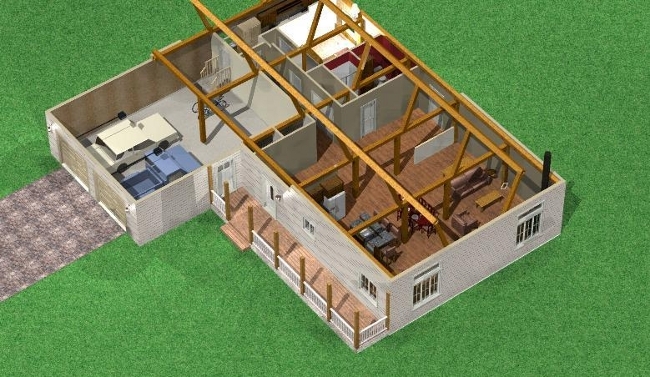 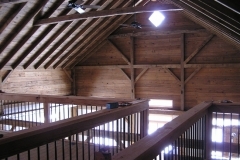 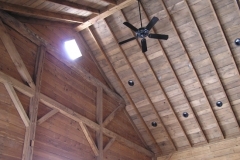 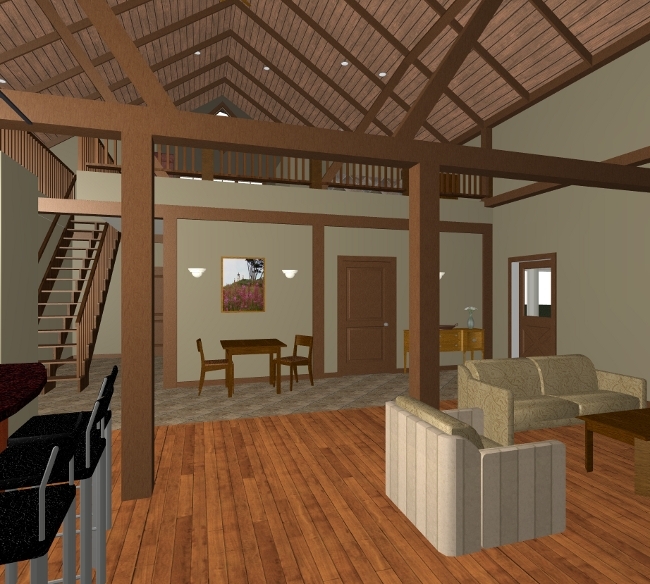 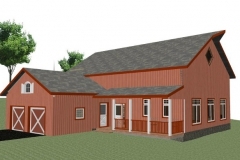 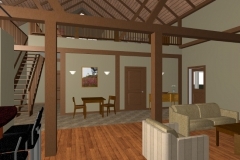 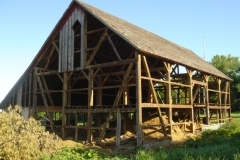 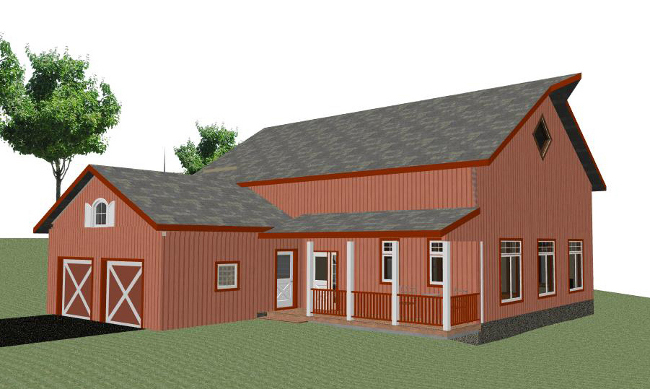 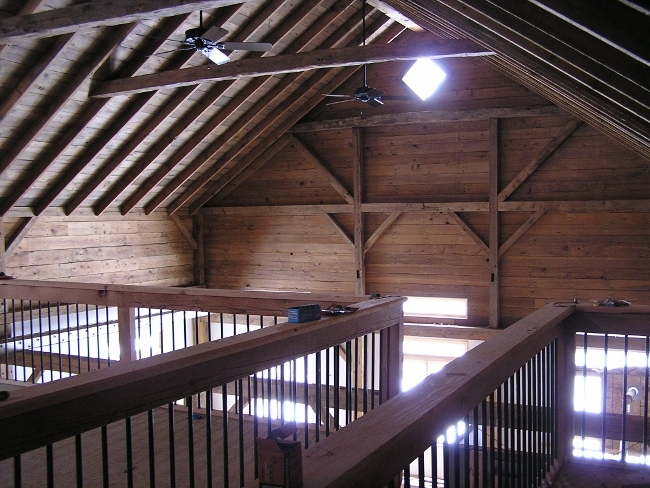 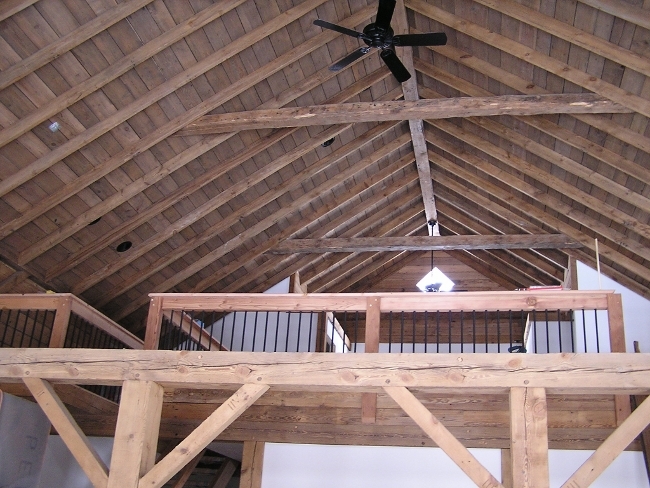 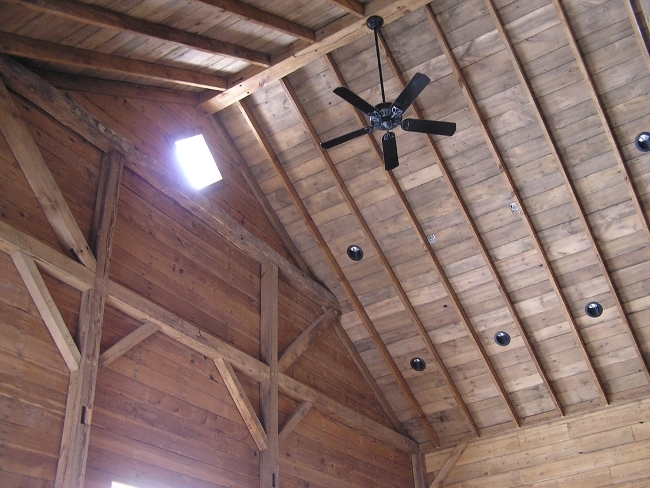 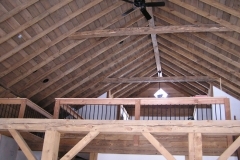 This timber frame barn was designed into a new home and rebuilt as a turnkey project. 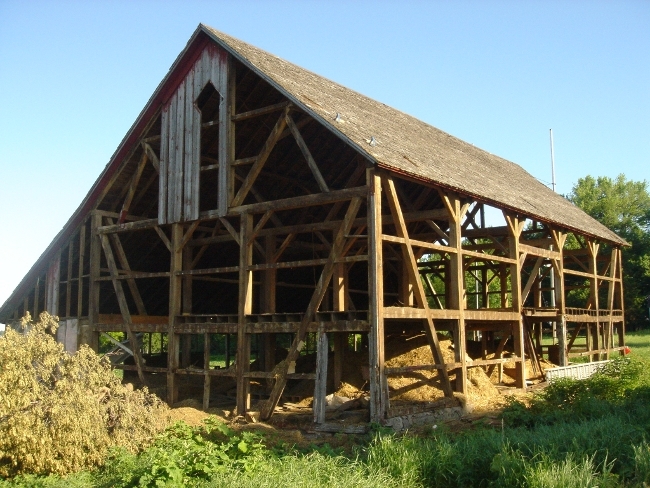 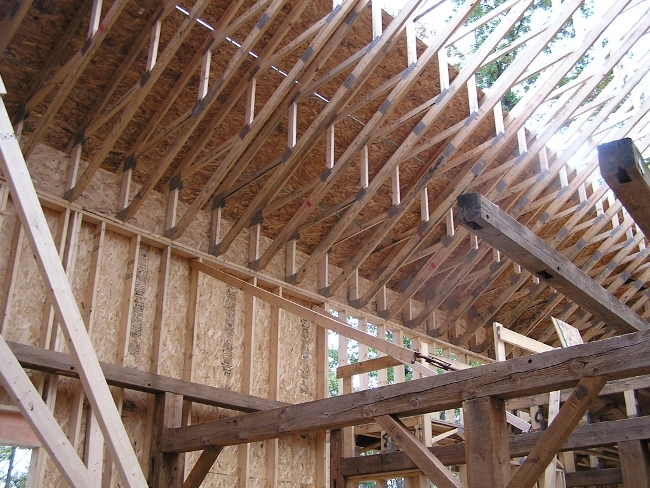 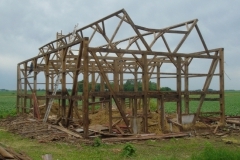 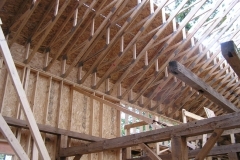 The frame was enclosed with standard 2×6 wall framing and vaulted trusses for the new roof. 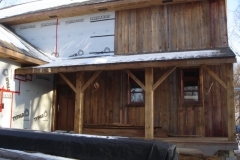 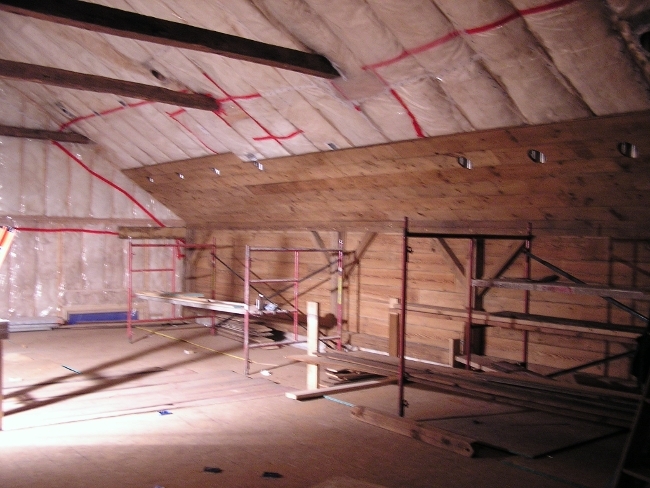 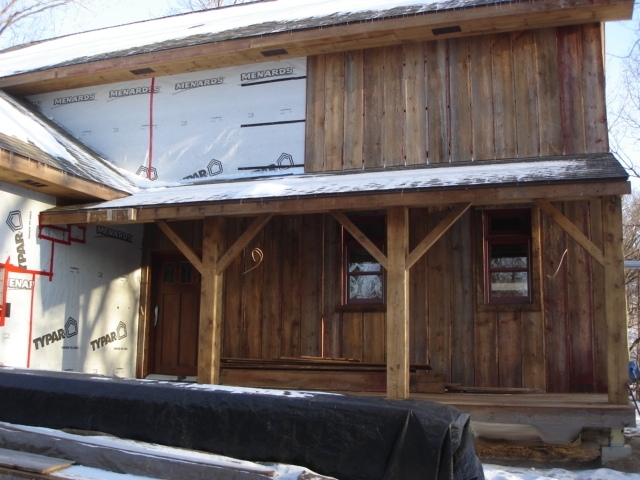 After the fiberglass insulation was installed the barn siding and false timber work was applied to the interior. 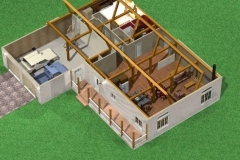 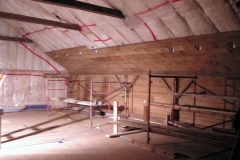 This type of insulation and construction permits a more rapid enclosure from the weather and only required the frame to be engineered to carry the loft floor. 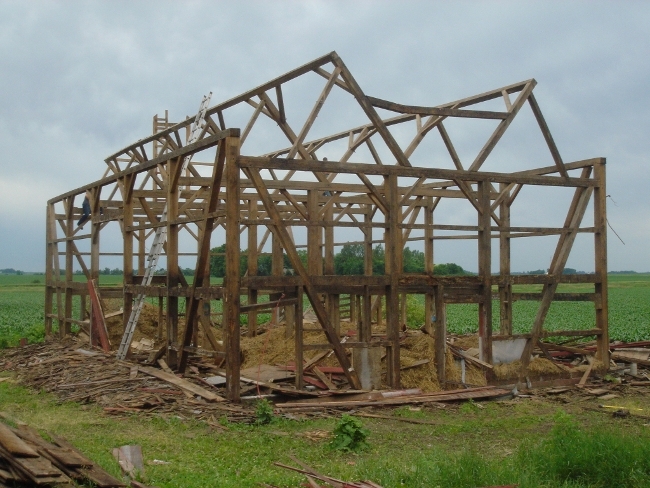 This allowed us to raise the top plates, redesign the gable end wall and add a few other aesthetic modifications to the frame without having to meet structural engineering standards for the barn frame.